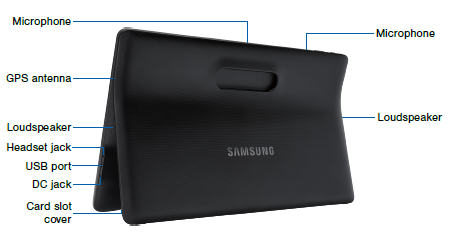 The Samsung Galaxy View 18.4 (SM-T670NZKAXAR) pdf manual is available now. The device comes with Android 5.1, Lollipop operating system, 2.1 MP camera, 18.4 inch display screen, 2GB of RAM, and 32GB ROM. 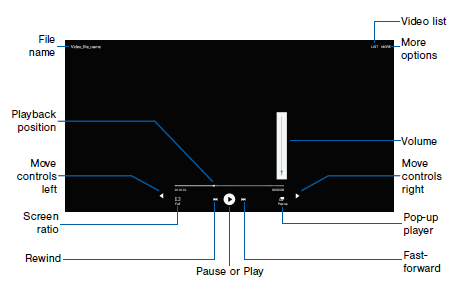 In the manual you can find reference information for example about device layout with menu and key functions. Then about tutorial Install an Optional Memory Card, Set Up a Secure Screen Lock, using Home screen, Change the Wallpaper, learn Notification Panel, Activate Multi Window. You can learn about Use the Samsung Keyboard on page 17, Use Google Voice Typing, using many apps Google on page 22-23, using Microsoft Applications on page 24 like PowerPoint, Word and Excel. For other application also about Side Sync, smart manager, S Console and Family Square. Other important information about using camera on page 28, Access the Internet, Use the Memo, listen music, Play and manage videos stored, and settings guide like wi-fi and bluetooth settings, Virtual Private Networks (VPN) settings, printing guide, Daydream setting, Set Up User Profiles, Security Update Service, Backup and Restore Google Account, Factory Data Reset and Software Updates. Know Your Device: Learn some of the key features of your mobiledevice, including the screens and icons, as well as how to navigate the device and enter text using the keyboard. Applications: The Apps list displays all applications installed on your device, both preloaded apps and apps you download and install yourself. Learn how to change the way apps appear, organize apps into folders, and uninstall or disable apps. Settings: Configure your device’s connections and settings, add accounts, and customize the home screen, apps, and features.